The compact B 95 RS Bp Pack step-on scrubber dryer with maintenance-free gel batteries and 60 to 75 cm working width has the manoeuvrability of a walk-behind scrubber dryer and the speed of a ride-on machine. With a small turning circle of about 130 cm, it easy to use also in awkwardly shaped rooms. The machine is ready to use at the touch of button. The brush head, squeegee and water supply are activated. The brush contact pressure and water quantity can be adjusted to suit different types of surfaces. The brushes can be changed without tools. The flexibly mounted squeegee ensures that the dirty water is removed also in tight corners and floors are immediately clean, dry and safe for traffic. A separate coarse dirt filter prevents the dirty water hose from becoming blocked. A cart with a second battery pack is available as an option to extend the use of the machine – the batteries can then be changed quickly and easily. 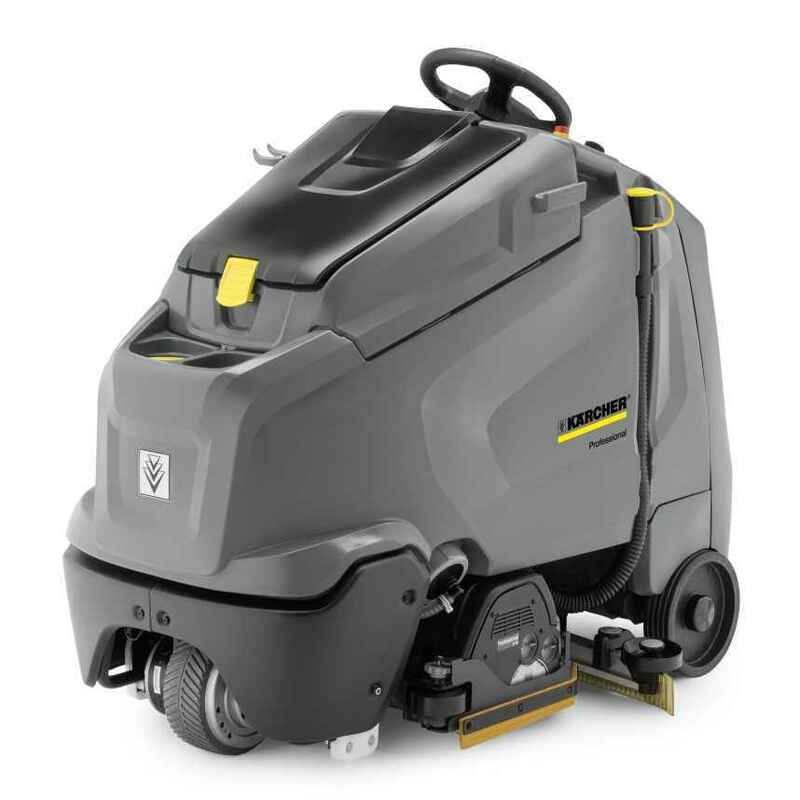 The machine is ideal for contract cleaners as well as for use in supermarkets, factories, public buildings or healthcare facilities. Automatic filling of the fresh water tank. Filling stops automatically when the tank is full. Raised working position for a clear view.